The sound meant I got texts. I was wondering who on earth text me that late. It was a good friend of mine who is a member of Dave Meltzer’s F4Wonline.com site. I saw his messages, and they brought terrible news. I checked Meltzer’s site, and it was right there, and I just sat there and cried. Within the first five minutes of a singles match with Jeff Hardy, after a few minutes of stalling, at the San Diego Sports Arena, at a house show, after landing awkwardly on his left ankle doing a leap frog, Edge who was the Tag team champion with Jericho at the time, suffered a ruptured Achilles Tendon. Edge underwent surgery in Alabama on July 7th, and the surgeon was renowned surgeon was Dr. James Andrews. The sad thing was that Edge was expected to be out from 9 months to a year, to possibly never. The aftermath with the Tag titles was that Edge via Satellite came on Smackdown, to give an update, and then Jericho comes out and pretty much turned on his now former partner, and then Jericho was partnered up with the Big Show. Fast forwarding six and a half months later, the major storylines for Wrestlemania 26 were starting to take place. Shawn Michaels was determined to face the Undertaker a second time. As Taker was the World Champion at the time of the 2010 Rumble, Shawn vowed to win it and face Taker at Mania. Sheamus, the WWE Champion was in a feud with Orton. Christian and Ezekiel Jackson were in a feud for the ECW Champion at the time as well. Michelle McCool and her BFF Layla at the time were torturing Mickie James with the “Piggy James” nonsense. Also, around this time, there were rumors of the return of Edge at the Rumble. Sites would go back and forth trying to confirm or deny the stories. Edge said in interviews during his absence that he wasn’t sure when he would be back. The Achilles Tendon is the longest tendon in the body. It is a tough injury for any athlete to come back from. 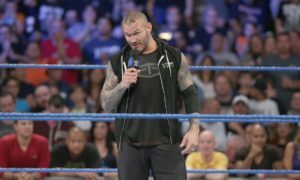 The injury has retired NBA star Isaiah Thomas, and Canadian Track star Donovan Bailey for example, and Edge had to be careful about a return. 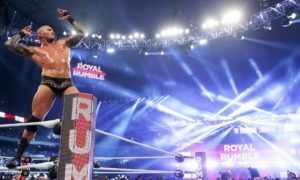 The 2010 Royal Rumble took place January 31, 2010, at the Philips Arena in Atlanta Georgia. The Pay Per View featured Undertaker vs Rey Mysterio for the World Heavyweight Championship which Undertaker won. I remember it being a pretty good match. Sheamus retained his WWE Championship against Randy Orton via DQ. The match was alright by my recollection. Christian won the ECW Championship bout against Ezekiel Jackson. I seem to remember it as a decent match. Michelle McCool defended her Women’s Championship against Mickie James. I nearly forgot about this match. James pinned McCool in an OK match. The Rumble Match itself was pretty good actually. There were several spots I loved. I loved seeing Beth Phoenix, only the second women since Chyna to enter the Rumble, in the event. I loved her elimination of the Great Khali. That was the deadliest kiss since Othello’s. I enjoyed the parts with CM Punk cutting promos about how he was going to win the match, and eliminating people at the same time. Shawn Michaels’ eliminating his buddy, Triple H , and the looks on both their faces were priceless. I am getting a little ahead of myself here, but Shawn’s going totally nuts when he gets eliminated and finally loses it and super kicks poor Charles Robinson, the referee was awesome. Shawn’s walking away looking all defeated was just great. However, the best moment is when Chris Jericho, Shawn Michaels, and John Cena (I may be forgetting someone else) are laying in the ring, and it is time for entrant #29 to come out. The countdown starts: 10, 9, 8.7.6,5, 4, 3, 2.1….The music hits, “You think you know me, and the first chords of “Metalingus” by Alter Bridge starts and the fans in Atlanta come unglued!!! Out came the Rated R Super Star Edge. He gets in the ring and speared everyone in sight before eliminating his nemesis, Chris Jericho. Batista wound up being entrant #30. The end of the match came when Edge eliminated John Cena and became the 2010 winner of the Royal Rumble. On a personal note: On that day, I was officially confirmed an Episcopalian at my church. Edge has been on my prayer list for a long time anyway, but I was praying so hard that he would at least come back. I was so happy to see him. There was thought that his career was over. It would have been devastating to me as a fan of his to see his career end like that. I mean, (ironically his eventual last match was also in Atlanta) his career would end due to injury, but at least he went out on top. That day was a real blessing. Order the WWE – Edge: A Decade of Decadence DVD byclicking here.